Mobile Locksmith Services Near You! 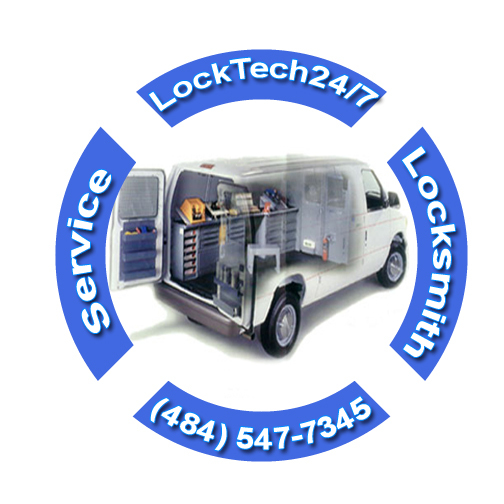 LockTech24/7, a mobile locksmith shop in the Lehigh Valley PA and surrounding areas. 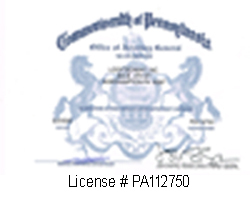 We serve Allentown, Bethlehem, and Easton, as well as Kutztown, Jim Thorpe, and Stroudsburg PA. Emergency mobile locksmith services are crucial for your daily routine. A mobile locksmith shop is an easy way out of any locksmith service. It doesn’t matter if you need automotive, residential, or commercial locksmith service, we can provide all sort of mobile locksmith services. Imagine a 24HR mobile locksmith shop open for you day or night. Not just you don’t need to go to the local locksmith shop, but the local locksmith shop comes to you. This is the best way to go when you need either an emergency locksmith service in Allentown or to schedule an appointment for your next locksmith project in the follow-up week. LockTech24/7 mobile locksmith shop is here to solve your lock and key related problems. Different from other locksmith companies, we carry all keys, locks, and security hardware. Call our mobile locksmith pros in a time of need because we’re the ones to get you back on your day in no time. Sometimes, when you considering to hire a mobile locksmith service, you may need an emergency mobile locksmith service in Bethlehem PA. Looking forward to serving you better, we provide all kind of mobile emergency locksmith services. This includes lockout services to car key made or lock repair. When it comes to a car key, we can cut and program a transponder auto key, as well as laser cut key on site. In addition, a mobile ignition switch repair or broken key extraction services are available too. 24/7 emergency mobile locksmith services at LockTech24/7 ensure you fast, efficient, and affordable emergency locksmith service. Allentown, the third biggest city in Pennsylvania. Allentown metropolitan area is full of life and excitement. People are visiting places around Allentown, enjoying quality time with their families, enjoying nature. It only takes a split of a moment to lose your car key in Dorney Park or locking yourself out of your car in Coca Cola Park. We serve the entire Allentown and metropolitan area. This includes zip codes PA:18101, PA:18102, PA:18103, PA:18104, PA:18106, and the surrounding areas, as well as Trexlertown, Fogelsville, and Breinin\gsville. Allentown emergency mobile locksmith is here whenever you need us most. We are #1 emergency locksmith service providers in the Allentown area. When you want a mobile locksmith service in Bethlehem PA you simply want the best locksmith! LockTech24/7 mobile locksmith shop traveling the streets of Bethlehem PA providing mobile emergency locksmith company in Bethlehem and suburbs. This means if you lost a car key in the Sands Casino & Resort of Bethlehem PA, we are ready to help. Locktech24/7 is a local mobile locksmith company to Bethlehem. This includes when you need a locksmith in Freemansburg, Fountain Hill, and Hanover Township. Get a mobile locksmith shop and professional locksmith expert on your side when you need a mobile automotive, residential, and commercial locksmith service in Bethlehem area. A mobile locksmith is available in Easto PA. We provide 24 hours of mobile automotive, residential and commercial locksmith services, as well as an emergency service of all kind. We take pride in serving Easton PA area. Our mobile locksmiths in Easton are serving the Lehigh Valley area for long years. This includes Wilson, Palmer Twp, as well as Fork Twp. In addition, we also serve Tatamy PA and Matins Creek. Losing your only car key is not a pleasant moment, especially when you stuck on the road. This is the reason why we provide a mobile emergency lost key replacement service. With this in mind, we serve the entire Lehigh Valley PA. In like manner, we can drive to you whether you’re in Easton, Bethlehem, or Allentown. As you can see, not just we cut and program auto keys on site, but we also provide broken key extraction service, as well as laser cut keys, key fobs, and more. Call us now and we will do the rest in replacing your new car key. When you call our car key & ignition specialists, you ensure a pleasant and short waiting time. That is to say; we get you back on the road in no time.